ISLA NEGRA, Chile – The body of the Nobel laureate poet Pablo Neruda is being exhumed in an effort to clear up four decades of suspicion about how he died in the days after Chile’s military coup in 1973. A team of investigators is digging at Isla Negra, a rocky outcropping on the Pacific Coast where Neruda lived. But forensic experts say there’s little hope that the exhumation will answer the question of whether one of the greatest poets of the 20th century died of natural causes as was recorded, or if he was poisoned by the military dictatorship as his driver and many others believe. Judge Mario Carroza approved a request by Chile’s Communist Party for the disinterment, but did not permit the use of independent experts. Neruda won the Nobel prize for literature in 1971. He was also a communist leader who backed the socialist government, a diplomat and a close friend of socialist President Salvador Allende, who died during the Sept. 11, 1973, coup led by Gen. Augusto Pinochet and supported by the Nixon administration in the U.S. In the days after the coup, Neruda’s home in Isla Negra was raided by authorities and a Chilean warship was stationed off the coast, its cannons pointed directly at the house, Araya said. “They’re going to blow us up,” the poet told his driver, then 26 years old. Neruda, 69 and suffering from prostate cancer, was said to be traumatized by the coup and the mass persecution and killing of his friends and tens of thousands of progressives. Neruda planned to go into exile, where he would have been an influential voice against the dictatorship. A day before he planned to leave, he was taken by ambulance to the Santa Maria clinic, however, where he was being treated for cancer and other ailments. Officially, Neruda died there on Sept. 23 from natural causes related to the emotional trauma of the coup. But suspicions that the dictatorship had a hand in his death have lingered long after Chile returned to a democracy in 1990. Araya said he believes that agents of the dictatorship injected poison into Neruda’s stomach at the clinic. “Our mistake was leaving Neruda by himself on Sept. 23. If he hadn’t been left alone, they wouldn’t have killed him,” Araya told The Associated Press. Proving Araya’s theory will be daunting. 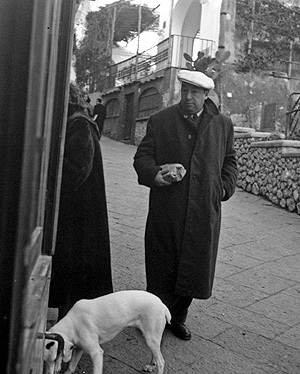 Neruda’s remains have been buried for years in soil that receives intense coastal humidity. Once they are exhumed, investigators will then have to work with what experts say is outdated technology and equipment. “No big or false hope should be made about the exhumation and the analysis of the remains of Neruda yielding a cause of death” said Dr. Luis Ravanal, a forensic specialist. “There’s no ill doing or trickery, but I think this not rigorous enough,” Contreras said. Mexico’s ambassador to Chile at the time, Gonzalo Martinez Corbala, had arranged to send the poet into exile after the coup and the poet sent Araya to Isla Negra to collect some clothes, books, cash and the original manuscript for his autobiography before leaving for Mexico. Martinez said he saw the poet at the hospital on the day before he died. “He seemed normal to me … nothing could make you think that he was going to die,” he recalled. “Neruda calls us at 4:00 p.m. on Sunday the 23rd … and says: ‘Come quickly because I was sleeping and a doctor gave me a shot in the gut, I’m in a lot of pain and I’m boiling!’ Araya said. Chile’s investigative police, the local equivalent of the FBI, searched through yearbooks of medicine graduates, but never found one named Price. When Araya left the clinic to buy medicine for Neruda, he was seized by four men who beat him, shot him in a leg and took him to Chile’s national stadium, where many leftists were held, tortured and killed during the dictatorship. Araya gave Neruda’s autobiography to Martinez, who kept the manuscript for many years at his home in Mexico. Neruda’s widow fled to Mexico with other exiles in the plane that had been readied for the poet. In the last pages of the autobiography, Neruda characterized Allende’s death as a murder.